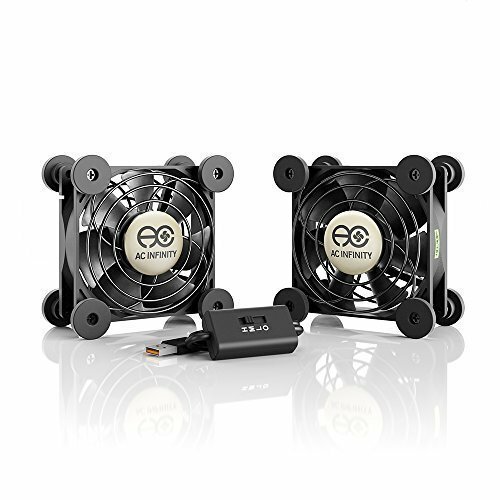 Product Description The ultra-quiet cooling fan can be positioned to stand upright or laid flat to cool various electronics and components. Features a multi-speed controller with power switch. 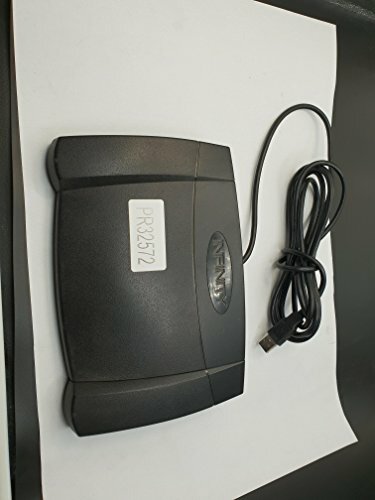 Includes eight large anti-vibration rubber feet and a 6-foot power cord. The USB plug can be plugged into the USB ports found behind popular electronics such as receivers and video game consoles. Each unit contains an additional USB port, up to four fans can be daisy chained together to share the same power source. Certified by CE, UL, TUV, and RoHS. 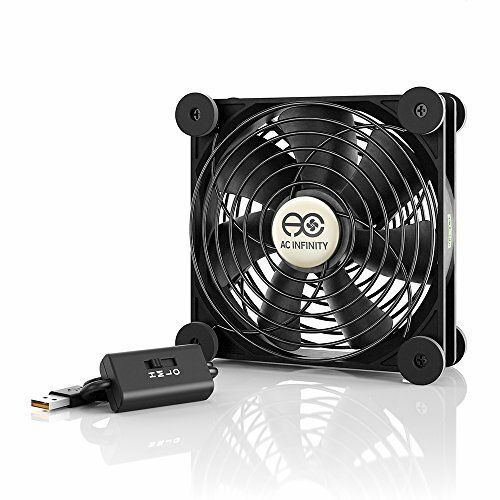 Speed Controller The fan includes an in-line multi-speed controller with power switch to set the fan's speed to optimal noise and airflow levels for various environments. 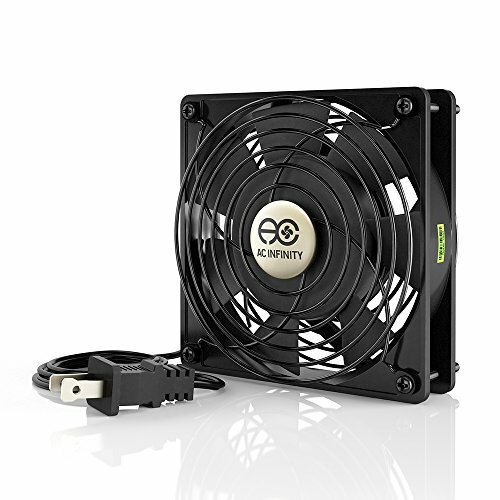 Connecting Additional Units For electronics and components that requires more airflow, each fan unit can daisy chain additional MULTIFAN S series fans. 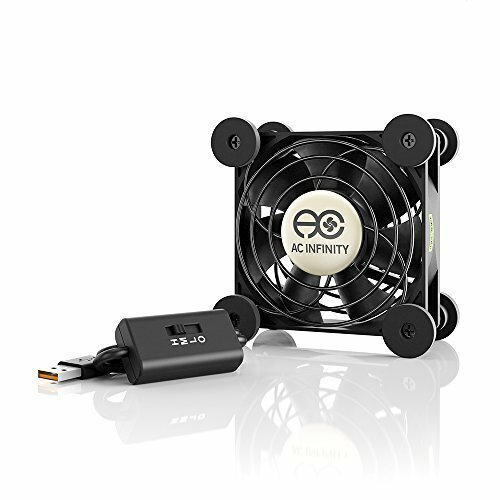 Up to four fans can share the same USB power source; and up to six fans can share the same thermal controller (sold separately). 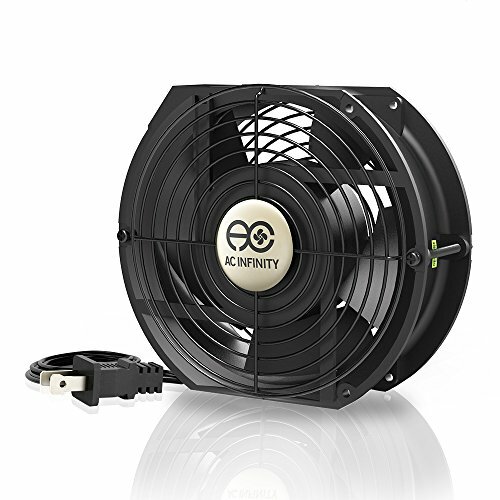 MULTIFAN S1, S2, S3 and S4 contains one fan, and MULTIFAN S5 and S7 contains two fans. 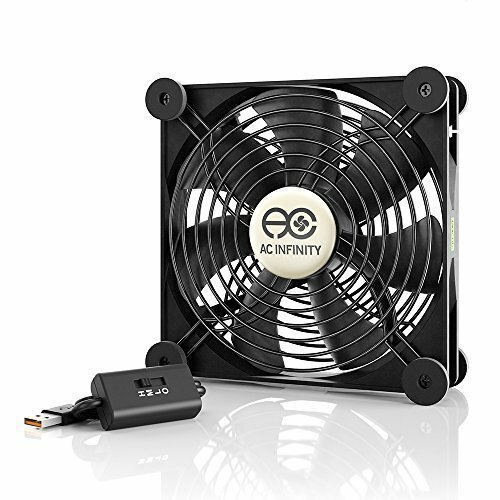 Applications This ultra-quiet cooling fan is popular in a variety of electronics and components such as receivers, DVRs, video game consoles, modems, computers, amplifiers, and other audio video equipment. Overview The AIRPLATE A3 is a 6.3 by 6.3 inch metal grille that can be installed into cabinets and walls to help increase ventilation. It can also be used in conjunction with a fan system to act as a passive intake or exhaust vent. 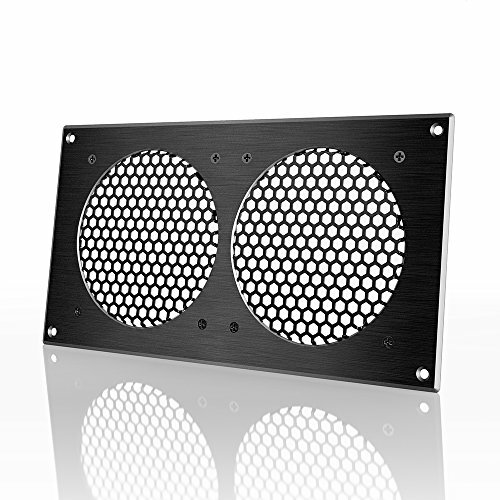 The kit includes an optional 120mm fan guard and hardware to secure a 120mm fan, the most popular size for computers and DIY applications, onto the grille. To mount your fan and grille into your cabinet or wall, you would need to cut a square hole approximately 5 by 5 inches. Features a CNC machined aluminum frame with a brushed black finish; pre-secured to a steel honeycomb grille with four screws. Information on the additional included hardware can be found below Hardware Includes four wood screws and four machine screws with nuts to mount the ventilation grille onto a cabinet or wall. Also includes four 1.25-inch long machine screws with nuts to mount a 120 mm fan with the included 120mm fan guard onto the ventilation grille. Overview The Cabinet Ventilation Grille is a 11.7 by 6.1 inch metal grille that can be installed into cabinets and walls to help increase ventilation. It can also be used in conjunction with a fan system to act as a passive intake or exhaust vent. 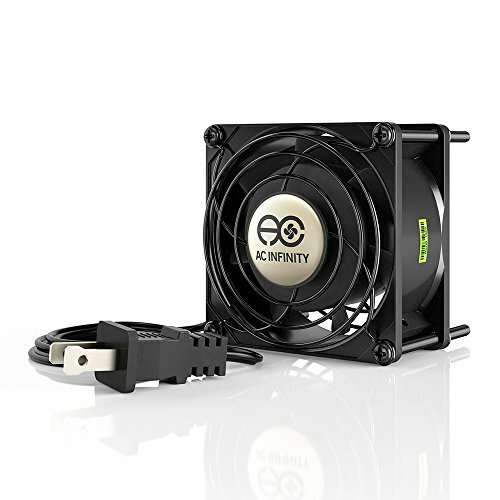 The kit includes optional 120mm fan guards and hardware to secure two 120mm fans, the most popular size for computers and DIY applications, onto the grille. To mount your fans and grille into your cabinet or wall, you would need to cut a square hole approximately 10.12 by 5.35 inches. 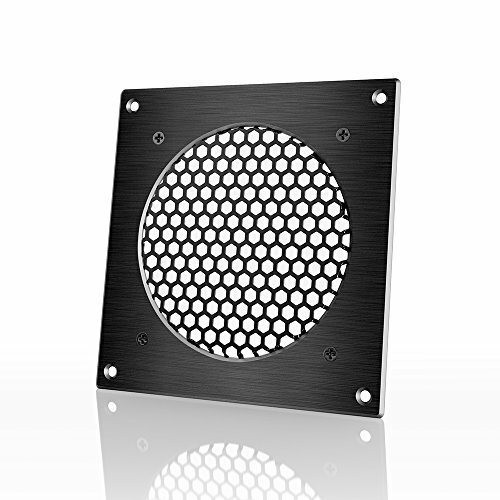 Features a CNC machined aluminum frame with a brushed black finish; pre-secured to a steel honeycomb grille with four screws. Information on the additional included hardware can be found below. Hardware Includes four wood screws and four machine screws with nuts to mount the ventilation grille onto a cabinet or wall. Also includes four 1.25-inch long machine screws with nuts to mount a 120 mm fan with the included two 120mm fan guards onto the ventilation grille. Compare prices on Infinity Computer at ShopPlanetUp.com – use promo codes and coupons for best offers and deals. We work hard to get you amazing deals and collect all available offers online and represent it in one place for the customers. Now our visitors can leverage benefits of big brands and heavy discounts available for that day and for famous brands.